The contributions of the North Central Soybean Entomology Research and Extension Team was recognized with an International Integrated Pest Management Award of Excellence at the 9th International IPM Symposium held recently in Baltimore, Maryland. 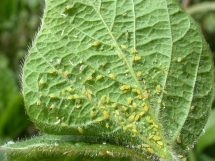 Kelley Tilmon, entomologist at Ohio State University and current team leader, described how the group formed as a response to the soybean aphid (Aphis glycines) detected in the north-central region in the year 2000. At that time the aphid was quickly spreading throughout the region as a truly devastating pest. Thresholds and even biological information were completely lacking and immediate action was needed. 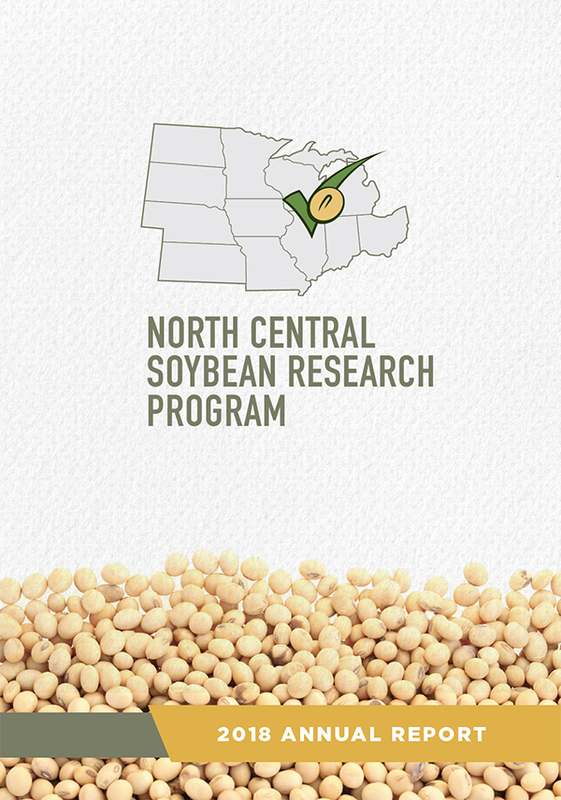 With emergency checkoff funding provided by the North Central Research Program, the group developed an IPM economic threshold (ET) that came to be adopted by all U.S. states and Canadian provinces that have soybean aphid. 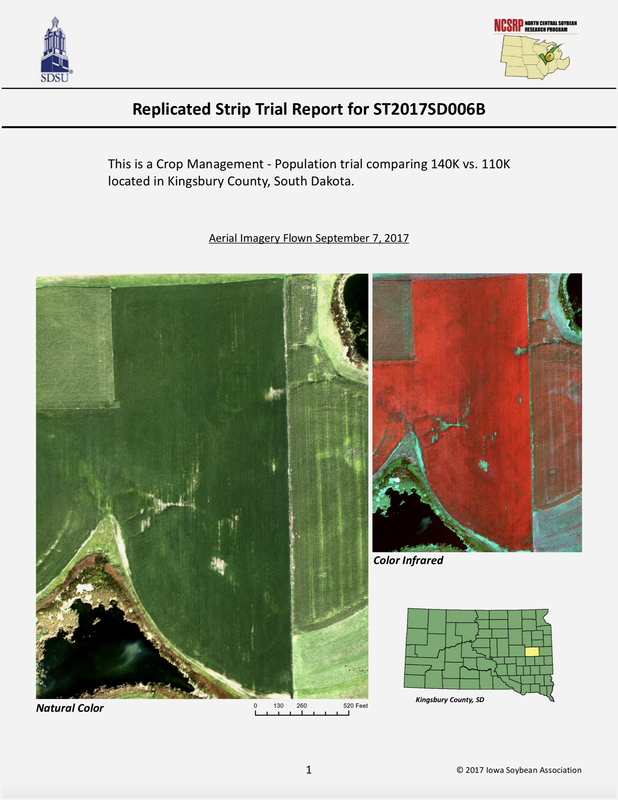 The ET triggers insecticide application only if the value of predicted yield damage from pest scouting is expected to exceed the cost of pest control. Economists estimate that the work has provided $1.34 billion of benefit to farmers from 2003 to the present. With sustained farmer support from the NCSRP and state soybean checkoff programs, which helped leverage additional funds from federal and university sources, the group was able to quickly develop effective methods to scout for the soybean aphid, characterize aphid biotypes, and identify sources of aphid resistance in soybean. To date, six soybean aphid resistance genes have been discovered in soybean germplasm (named Rag1-6). Efforts are now focused on developing lines with all combinations of Rag1, Rag2, Rag3, Rag4, and Rag6. The University of Illinois is commercializing four soybean varieties with Rag2, one variety with Rag1, and one variety with Rag1 and Rag2 combined. These varieties are being marketed under the Illini Brand by the Baird Seed Company (bairdseed.com). Aphid resistant varieties are also available from other sources. 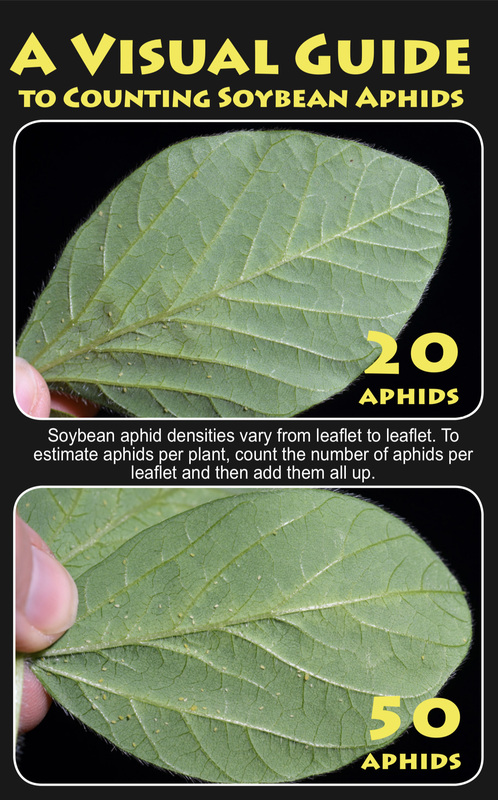 Check with your seed dealer and in seed catalogues about the availability of aphid resistant varieties (Rag) in your area. Several promising biological control agents against soybean aphid have been evaluated and released. Three aphid parasitoids Aphelinus certus, A. glycinis and A. rhamni, are being monitored regionally to assess their cold-hardiness and their effectiveness in suppressing soybean aphid. Since 2017, the interdisciplinary team of 18 research and extension scientists in 12 states has focused on both existing and emerging insect problems and opportunities in soybean, including work on stink bugs, thrips, aphids, and pollinators. Soybean producers will benefit from a proactive approach to these emerging insect issues. For example, economically damaging populations of native stink bugs are becoming more common in several states, and the introduced brown marmorated stink bug is spreading rapidly in the Midwest. 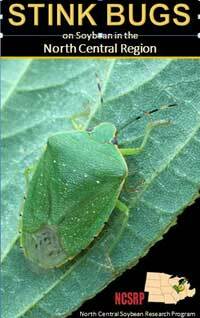 Two publications have been released from the stink bug work: Stink Bugs on Soybean in the North Central Region (NCSRP, 2017) and Identification, Biology, Impacts, and Management of Stink Bugs of Soybean and Corn in the Midwestern United States (Journal of Integrated Pest Management, 2017). Another insect, thrips, that have always been present in soybean at low levels have new damage potential as vectors of soybean vein necrosis virus. See Soybean Vein Necrosis Virus (NCSRP/Crop Protection Network) for more information on this pest/disease relationship. There is increasing evidence that soybean yield increases when plants are visited by pollinators, despite being self-fertilizing. This improvement varies between 6% to 18% depending upon type of pollinators present. Members of the North Central Entomology Research and Extension group are developing tactics to conserve pollinators in soybean without sacrificing good pest management. What unites all of these projects is a strong collaborative multistate approach, a sustained based of soybean checkoff funding, and a strong extension and outreach mission with budgeted extension projects, including award-winning videos, field guides, and many other extension services. Identification, Biology, Impacts, and Management of Stink Bugs of Soybean and Corn in the Midwestern United States, Journal of Integrated Pest Management, 2017.